One in three Americans has high blood pressure, a recent report from the Centers for Disease Control and Prevention estimates. Yet, even though it’s so prevalent, many people do not know they have this problem until something major goes wrong. Cardiologist David Frid, MD, says, “One of the problems with blood pressure is your body is working real hard, but often, until you have a heart attack or have a stroke or you develop kidney failure — you don’t know,” he says. Dr. Frid says your blood pressure will benefit from 30 to 45 minutes of exercise, three to five days a week. Just make sure the activity is strenuous enough to raise your heart rate above its resting level. Dr. Frid says a low-sodium diet that’s made up of foods packed with potassium, calcium, and magnesium will also help. A diet such as the DASH Eating Plan offers a variety of foods and has been proven to reduce blood pressure. Dr. Frid says even if your blood pressure is not high, you still have to keep it under control. High blood pressure is defined as blood pressure equal to or greater than 140/90 mm-Hg. An ideal blood pressure is less than 120/80. 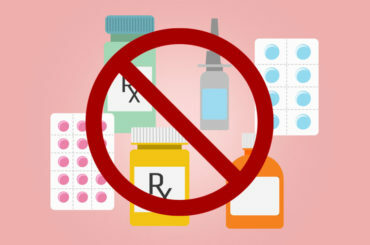 Be sure to continue taking your medications even if you start to feel better. Never stop taking them without your doctor’s approval. It may be your medications that are keeping your blood pressure in good control.